Two years ago today, a devastating 7.8-magnitude earthquake rocked the mountainous country of Nepal, killing more than 9,000 people and reducing tens of thousands of homes to rubble. The Fuller Center for Housing had been working in Nepal for nearly a decade prior to the quake. In fact, at the time, The Fuller Center’s most recent project was in a village called Trishuli. When we learned the massive quake’s epicenter was located only about 30 miles from Trishuli, we were concerned that our 11 partner families’ homes there could not have survived such a natural disaster — especially when we saw the widespread damage much farther away in Kathmandu. When we received photos of the 11 Fuller Center homes a couple of weeks later from our leaders on the ground there, we were shocked. It was as if nothing had happened. While their neighbors’ homes were damaged or destroyed, these 11 homes were unscathed. 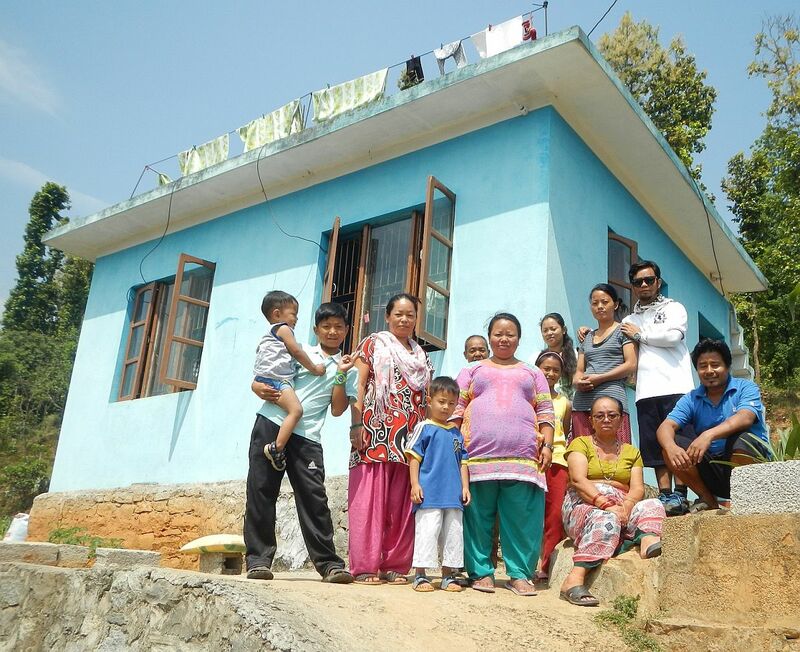 One of the 11 Fuller Center homes in Trishuli, Nepal, is shown in May 2015, two weeks after the earthquake. All 11 of the homes at the time escaped major damage from the quake. Since then, The Fuller Center has built 29 more with 10 in progress and more planned as resources become available. While relieved for those families, we realized this left us with a major responsibility. Not only would we need to lean on Fuller Center donors and major supporters like the United Church of Christ to ramp up our building efforts, but we needed to share our expertise. As a grass-roots nonprofit, we were in no position to fund the construction of tens of thousands of homes. However, we set up training sessions with dozens of masons to teach them the same techniques that allowed our houses to stand where others fell. 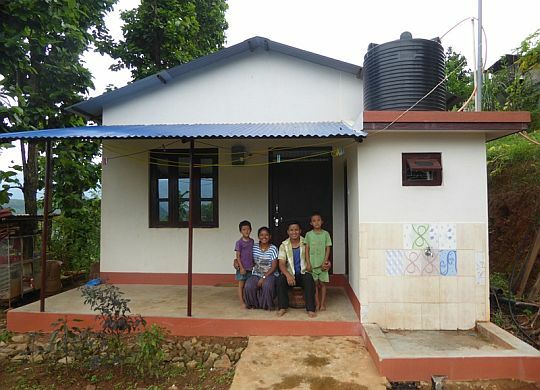 We showed how strong homes could be built while maintaining the style and look of a typical Nepalese home. While the immediate response to natural disasters is often fast and furious with water, buckets, food and emergency supplies arriving in droves, too often the spotlight turns to the next disaster before the work is complete. Disaster recovery, meanwhile, is more methodical and gets little attention. To the families faced with the long process of rebuilding their lives, it is desperately needed. That’s where you — the supporters and volunteers of our housing ministry — come in to continue extending helping hands of partnership to these families in need. With your help, we’ll be there until the job is done. No matter the disaster, full recovery requires a simple, decent place to call home. The very term “disaster” is a relative one. We’ve responded to natural disasters like earthquakes in Nepal and Haiti, hurricanes in southern Mississippi, Louisiana and New Jersey, and this week volunteers have gathered in Tangipahoa Parish, Louisiana, to restore homes that suffered massive flood damage last summer. The construction of safe Fuller Center homes in Mizque, Bolivia, is a response to a health disaster — the outbreak of Chagas, which festered in the mud shacks our homes are replacing. Of course, one person who has suffered homelessness or bankruptcy over medical expenses could consider their experience to be a disaster, as well. No matter the disaster, full recovery requires a simple, decent place to call home. And when people pull together as we’re doing in Nepal with no concern over who gets the credit, real recovery is possible. If the building technology we’re sharing in Nepal results in the country’s complete rebuilding with no credit given to The Fuller Center, so be it. Our mission is to share God’s love by helping people have decent places to live. On this two-year anniversary of a devastating moment, we give thanks for the smiles we see every day in Nepal and for the hope that instills in the Nepali families who are still recovering.